So I am still trying to figure this out. Hopefully I joined? I am a mother of 3 biological children and also raising my niece and nephew. I was diagnosed with cancer in 2015 and my finances took a hit. Now that I am cancer free I am trying to get my credit and finances back into shape. Welcome to all the first timers that have joined the myFICO Fitness Challenge! I am a first time challenger too! I hppe we all attain our goals this year. @reddaisy...yes, you joined the challenge. Welcome! Glad that you are here, and that you beat cancer. You sound like an amazing person to be raising your own kids and your niece and nephew. Look forward to seeing your FICO journey unfold! Well said Bella! I second her comments. Glad you all have joined! Many blessings to you and your family @reddaisy! Hello everyone and welcome to the myFICO Fitness Challenge!!! I enjoyed reading all of your goals. Garden - 4 months - I may pick up another BBR in March but I'm still undecided. Increase CL on a couple of cards - so far its been a no go with Cap 1 & IT seems to be on a 91 day cycle. Combine Cap 1 accounts - I still can't combine, but I'm not stressing over it. It will eventually happen. Reduce utilization - I'm still on track to PIF first card March 2017. Stay positive & focused so we can meet our goals!! My goal is to reach for 800+ Just not sure how to get there yet. I know for starters I must get my debt down. Just paid all my credit cards to zero. Waiting for the next months to see the updated scores. I have no bad marks, just had to high of utilization. We did a House refi in Dec. 2016 / SoFi loan Jan 2017 - Used all the money to pay credit cards to zero. Now with only a mortgage, car payment and loan. 2/8/17 Update: I am learning so much these days about credit data. TU hoards updates for about 3 weeks before doing an update. So, data that has shown for a few weeks on Experian and Equifax has not been updated on TU yet. Once the credit bureau updates your data it can take another 24 to 72 hours before your FICO score is updated. So, if a credit pull is made the data may not be the current data that the credit bureau has. FICO does not like a zero balance, so if you have no balance you can lose points from your score. So, if you don’t want to pay interest and not lose points you must figure out when the data pulls for reporting, and then pay after that but before due date so you are not late. Account alerts, they can take 24 to 48 hours, weekly, or even monthly to reach you. I was thinking alerts would be fast. I also discovered you can be rejected with good credit scores (in low 700’s with no negative marks) for a reason of too small of payments with capital one. I still have confusion around the fact the I get better scores by paying off my debt for 24 months, rather than paying it off all at once was I use the score simulator. As I continue with my path towards 800 land, I will keep reading, researching and praying I don’t make too many mistakes along the way. Baby steps I guess. For now, using credit cards and paying them off weekly, some times daily so we don’t spend the money elsewhere. Keep a small balance for credit agency reporting, my next quest is to find out how I need to use the credit cards to make my creditors happy and want to give me Credit Line Increases, keep FICO happy for the best score and keep my budget in check since I want to get and remain debt free. The debt free part will take about 4 years to pay off car and installment loan, and doesn’t include mortgage. Hello! 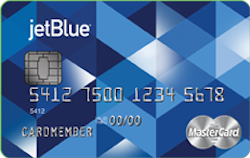 I am a first-time challenger but have been working on my credit since late 2016. Unfortunately 4-5 years ago I stopped paying on some of my credit cards and sank my 700+ credit score to the mid-500s. Now at the age of 25 and with a family, we want to improve our financial fitness and buy our first home. I have roughly 5 collections I am hoping to remove with 6 months time. In combination with that and sending out GW letters, I am hoping by the end of the year, we may be able to realize our dreams and become first-time home owners. So far this year I've made changes in paying above the minimum payments on my credit cards and current auto loan. I have also started a $250 allotment out of my paycheck to go into an interest-bearing savings account. End of 2016 we moved from WA back to CA and in February we are now moving from CA to TN, added moving costs will hold SOME of our PFD hopes to a later date. Due to move, having a hard time projecting an expected budget. I'm 1 month away from PIF my first credit card and it feels good. Everything else remains the same. Returning for the challange again after joining for the first time last year. 1. Continue saving money for a downpayment to prepare for potentially buying a house late this year. 2. Continue gardening and requesting soft CLIs. 3. Try to address/remove my only collection once it passes SOL in March (Medical, only reporting on TU). Overall last year was very successful. I ended up substantially increasing my scores and now just have to wait on aging my profile to continue increasing my scores (other than TU). I also opened up several credit cards and increased my CL to $30K and was able to work down utilization below <5% and kept it there for the past 6 months. I received rewards for spending money for the first time last year as I shifted most all my spending from strictly my debit card to credit cards with rewards. Come mid February once I force a couple cards to report zero balances I'll pull my reports one last time to see where my mortgage scores stand and plan from there. My last pull was 738/691/734 so hopefully I'll have a couple more points squeezed out on those. Other non FICO score financial things to note. Currently working on my taxes (waiting on one more form to finish everything) and I also finally have a rough budget for the first time ever. It's definitely not quite there to drive all my spending but slowly improving it every month. Ok so this is REALLY new to me! I've been reading the myfico forums for a couple of months now while trying to build back my credit. I had done a great job of establishing credit when I went through my divorce 11 years ago but for some reason when I got remarried I slacked off. (Paid off credit cards and closed accounts and sold house and didn't get another loan or revolving account. Just kinda let my hubby take the reigns and my credit just took the back seat) SO that left me with the past 6 years with NO NEW CREDIT! In December 2016 I decided to start doing something to rebuild my credit bc I want to purchase my daughter a new car when she graduates from high school. This is something I promised her if she graduated validictorian and she is on track to graduate 1st in her class in May of 2018. Basically I have a little less than a year to get my credit back in shape to do this for her! I would say my goal for 2017 is to get my credit score OVER 700 so that I can purchase that car for my daughter at a decent interest rate and feel confident walking into a dealership and not worrying about approval or interest rate! I also would like to have a credit card that earns cash or points for travel. Lastly, I want to be able to open up myfico.com and not cringe and see that low credit score! I hope I am doing this right! I know eventually I'll need to get some type of loan to show some revolving credit bc right now all I have is credit cards and 1 high interest loan that is almost paid off. Thanks for letting me ramble! I'm excited about this! I've been reading around on the forum for a couple of days now because I've decided it's my time to get in gear. I am a young adult that will be graduating college in about a year so I want to make a year plan to get my personal finances in order. I wasn't very smart with my money, my credit, or anything related to my credit reports throughout my young adult life. I never really cared about my credit score or anything like that because I never had to. Now, I have to. I want to be able to get the credit cards, car loans, and mortgages that I wish once I am out of college and on my own. I don't know a lot about credit, but I've been learning over the past few days what it really means. According to CreditKarma, I currently have a 517 TU score and a 486 EQ score. I know, these scores are awful. I had a Discover It card with a balance of $1,000 to which I let get out of hand and it got charged off. I paid the debt in full yesterday. I had a Capital One QS card with a $300 balance. Got out of hand with it and they said close it or it'll get charged off. I paid the debt in full yesterday. I am an authorized user on a Chase Mileage Plus Explorer card with a balance of $22,300. It has satisfactory payment history and was paid down from $16,000 to $0 yesterday. I have 4 collections in total. I have numerous late payments on both my Discover It card and my Capital One card. Other than that I have 0 late payments on anything. I have an auto loan of $3,500 or so with perfect payment history. I have approximetely $18,000 worth of student loans which are currently differed due to being in school still. For the most part that sums up what I know of my credit report. My ultimate goal is to get all 3 of my credit scores to 650+ (In 1 year if possible). I have been reading a lot about goodwill letters and things of that matter, but it is certainly confusing. I'd like to try to get the collection accounts removed and the late payments removed if at all possible. At this point I no longer have a credit card other than the card I am authorized on, do I apply for another credit card? Any other advice from anyone as to how to proceed in rebuilding my credit would be much appreciated. If you have any questions or comments, reply or message me, thank you!